Pep Guardiola has shunned talk of Manchester City winning an unprecedented quadruple - at least until the end of April if they are still hunting four trophies. 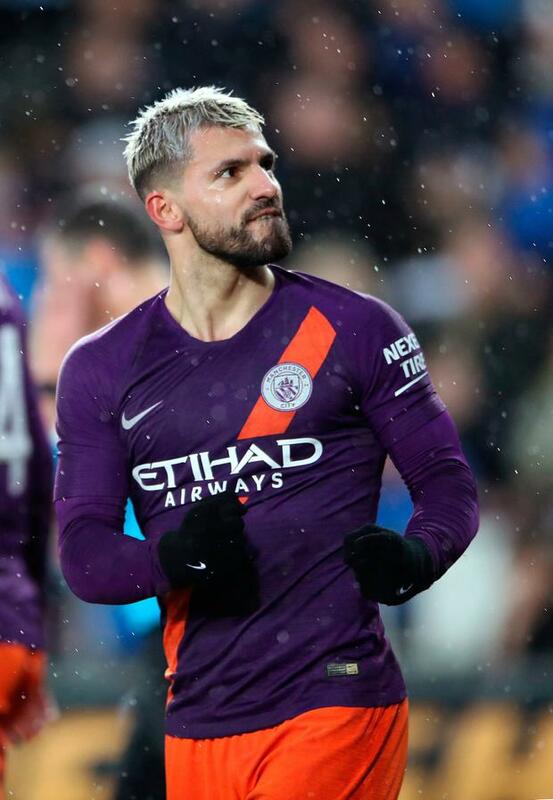 The second and third goals might not have stood had VAR been in operation at the Liberty Stadium, with City given a dubious penalty before Sergio Aguero appeared to be offside when heading in the winner. "Ask me at the end of April (about quadruple) and I will answer you," Guardiola said. "I know for the people it will be a big failure if we don't win three or four titles, so I'm sorry. City already have the League Cup in the trophy cabinet, are battling Liverpool for the Premier League and meet Spurs next month in the Champions League quarter-finals. As well as the VAR controversy, the quarter- final tie was marred in the closing moments when a fan ran on to the pitch from a stand housing home fans and jostled City substitute Oleksandr Zinchenko.